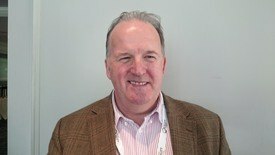 The Scottish Salmon Producers' Organisation is to begin publishing farm-by-farm data on sea lice numbers. 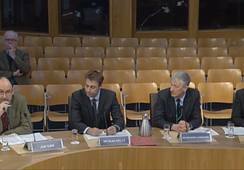 SSPO general manager David Sandison revealed the move when he appeared as a witness at a Scottish Parliament inquiry into the effects of salmon farming on the environment. He told the Environment, Climate Change and Land Reform (ECCLR) Committee: "From hereon forthwith we will be publishing all data associated with sea lice counts on a farm-by-farm basis." Sandison told MSPs: "We want to have a proper, open, honest dialogue," adding that "there is nothing whatever that we have to hide". 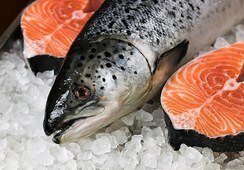 Details of what exactly will be published are currently being worked out by the Strategic Farmed Fish Health Framework Working Group, established last December to deliver a farmed fish health framework for Scotland. The group is co-chaired by Marine Harvest Scotland managing director Ben Hadfield, and Professor Colin Moffat, head of science for Marine Scotland. 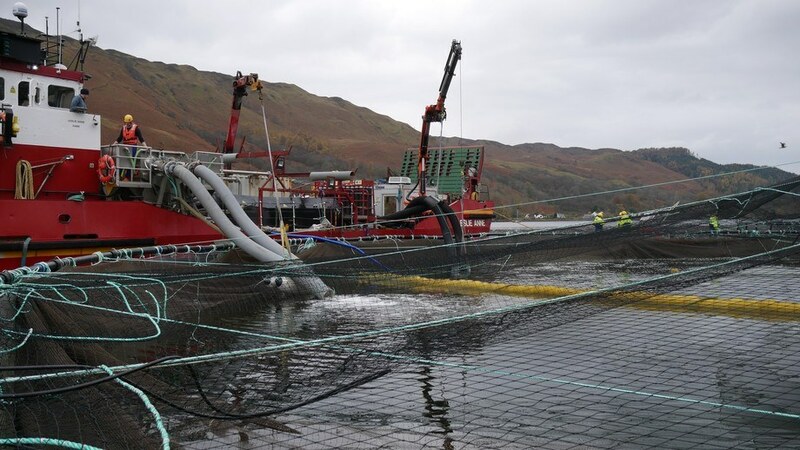 Membership includes finfish farming businesses, trade associations/networks, the Scottish Aquaculture Innovation Centre (SAIC), veterinary professionals, and regulatory bodies. Questioned by South Scotland Labour MSP Claudia Beamish about whether the published information would be "real-time data", Sandison explained: "Every farms counts its lice levels on a weekly basis. The information has to be gathered, passed on and collectivised. Clearly there would be a delay in presenting it to the public." He added: "There needs to be some sense of what we are trying to achieve with the data. Data in snapshots is no use to anyone." Asked by Beamish whether salmon farmers should have a statutory obligation to report lice numbers publicly, as not all were members of the SSPO, he said: "We have no particular view on that." 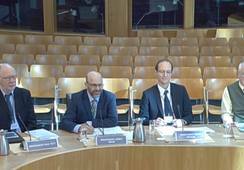 Sanidson was appearing alongside two other witnesses, John Aitchison, of Friends of the Sound of Jura, and Sam Collin, marine planning officer at the Scottish Wildlife Trust, who is convener of the aquaculture sub group for Scottish Environment LINK. Both said they believed reporting lice numbers should be made a statutory obligation. Six of Scotland's seven major salmon farmers are members of the SSPO, with Grieg Seafood Shetland the exception. However, Grieg - like SSPO members - is signed up to the industry's Code of Good Practice, and in regard to current regional reporting to Marine Scotland and future farm-by-farm reporting, is also signed up to do so in the same format as other companies. The Code of Good Practice is for the whole fish farming sector and is run by an independent management committee.